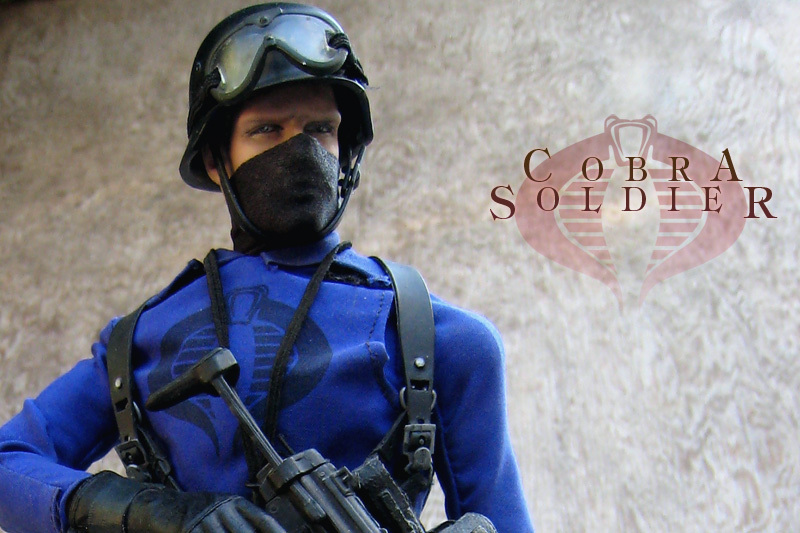 The Cobra infantry soldier is the heart of the Cobra terrorist organization, whose goal is control of the world! They are the lowest ranking people in the organization, highly motivated and eager to fight. 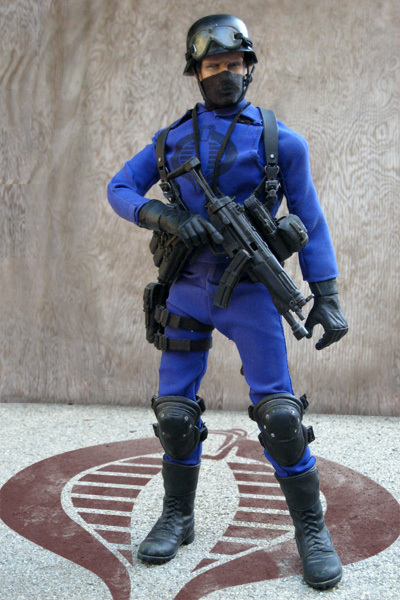 This figure represents the basic Cobra soldier, highly influenced by the World War II German uniform. 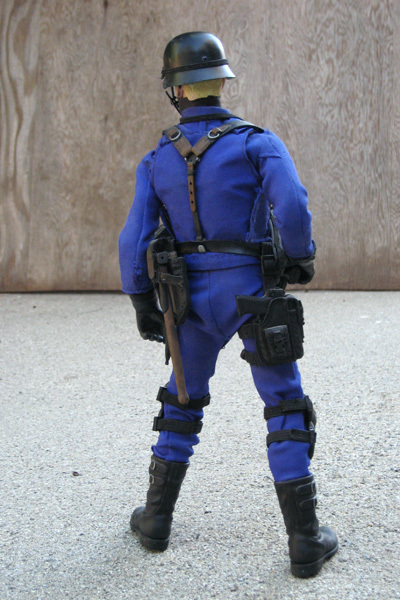 The style of this character comes from the early 1980's GI Joe comic books by Marvel. 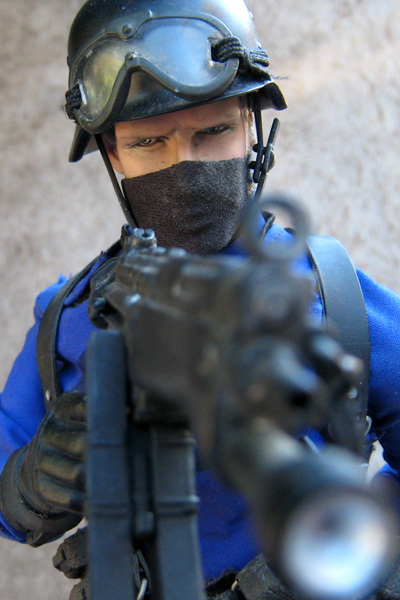 He is armed with an Mp5, a modern weapon that fit with the web harness and provided a little variation on the original 3¾" figure. The most important part of this figure to me was the large Cobra sigil on his chest. 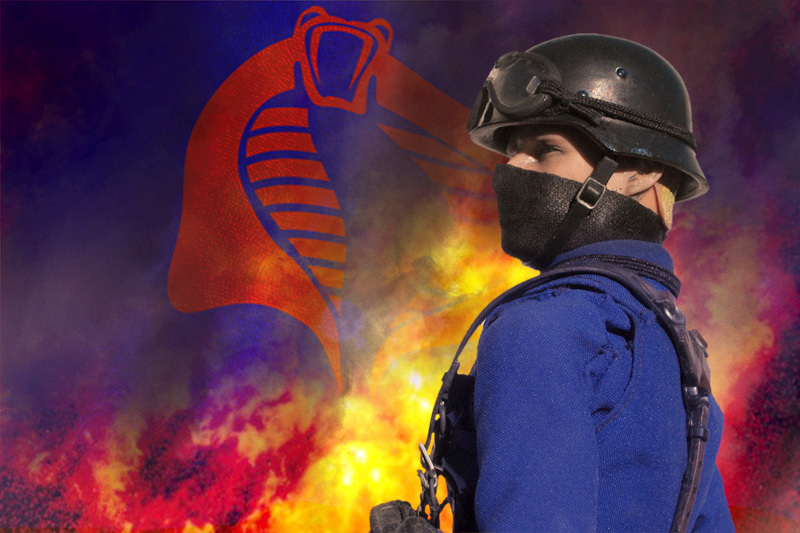 To avoid an odd-looking shirt, I applied the Cobra logo to a matching armored vest. I had a lot of fun making this figure. I learned quite a bit about patterning uniforms and got to experiment a bit with different methods of applying logos to fabric. This figure is by no means perfect but to me represents how much fun this hobby can be. GI Joe cobra the enemy! cobra forces lead by cobra commander grunt troops and basic infantry of the cobra legions. Copyright © 2009-2010 twistedplastic.com. All rights reserved.